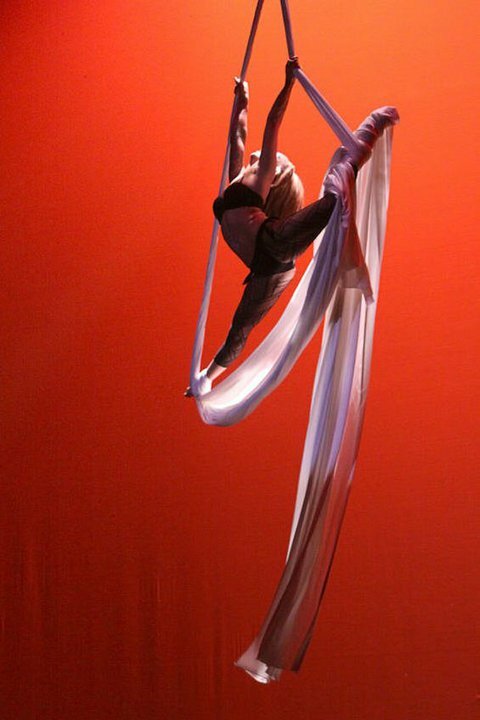 Also known as aerial contortion, aerial ribbons, aerial silks, aerial tissues, ribbon or tissu, is a type of performance where artists wrap, suspend, fall, swing, and spiral their body into and out of various positions on a suspended fabric without the use of safety lines. 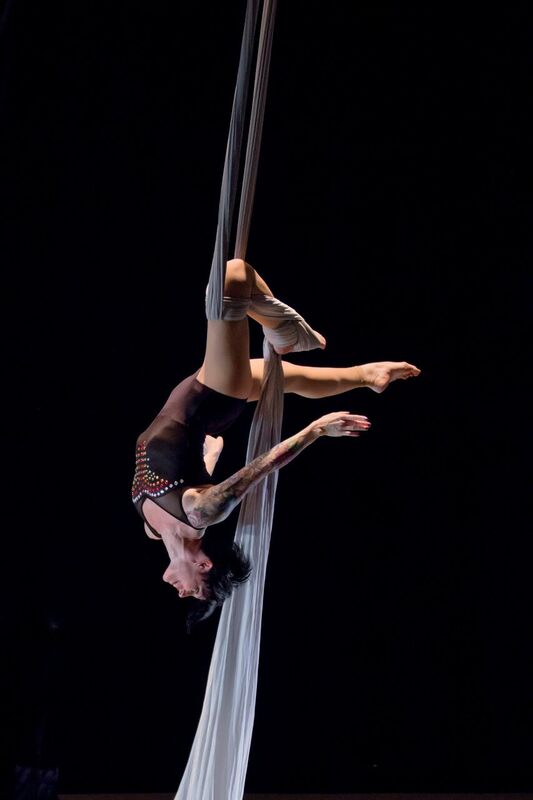 Performances are an exciting display of skill, athleticism, coordination and flexibility. 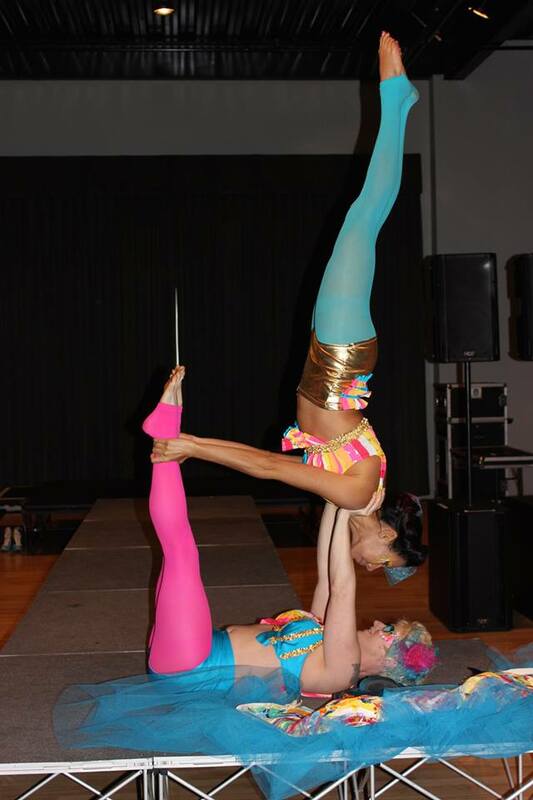 To book a Silk Performance for your event, please visit our Booking Page or email us at info@thievesofflight.com.